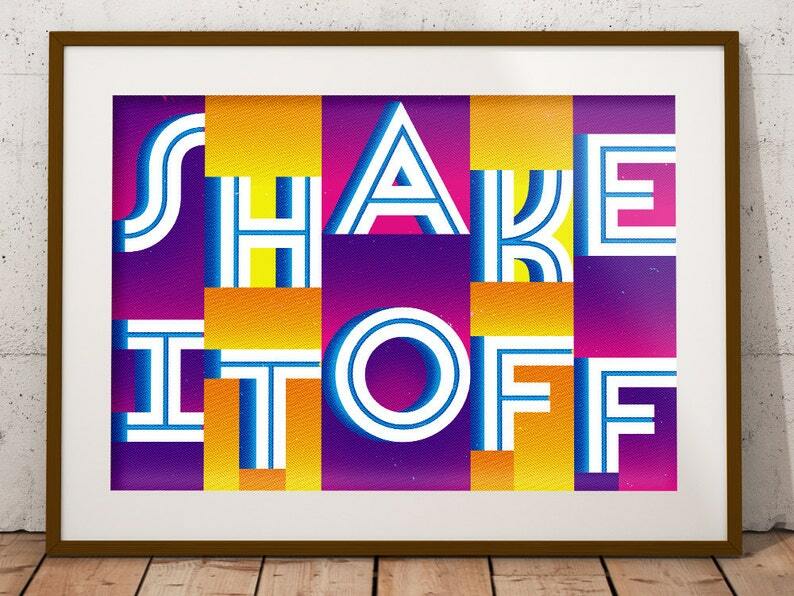 A beautiful screen printed poster of the #1 hit Shake It Off. Featuring hand drawn art deco inspired typography and cool halftone patterns, this original poster will delight any fan of music. So, hang it up, shake it off, and you'll never miss a beat. PAPER & PRINTING: This poster is screen printed in 3 colors on French Construction White Paper.